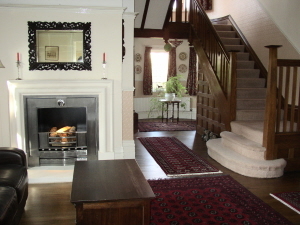 This character property was originally built as a Presbyterian Manse in 1906 in the Arts & Crafts style, retaining many original features such as oak panelling and stained glass windows. The accommodation at The Manse B&B is spacious and light, and the friendly, relaxed atmosphere will ensure an enjoyable stay. 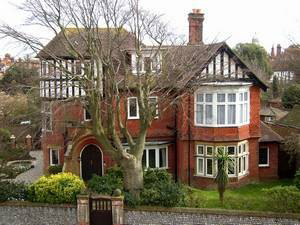 The Manse is located in a quiet part of Eastbourne, yet is only 5 minutes’ walk from the town centre. The theatres, seafront and South Downs National park are all nearby. 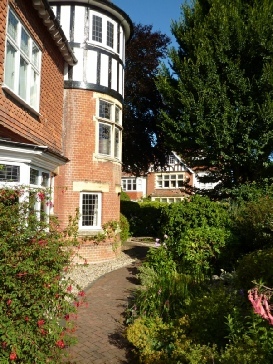 Stylish B&B close to Eastbourne town centre with parking. To check availability & prices, to book securely online & to see our reviews.